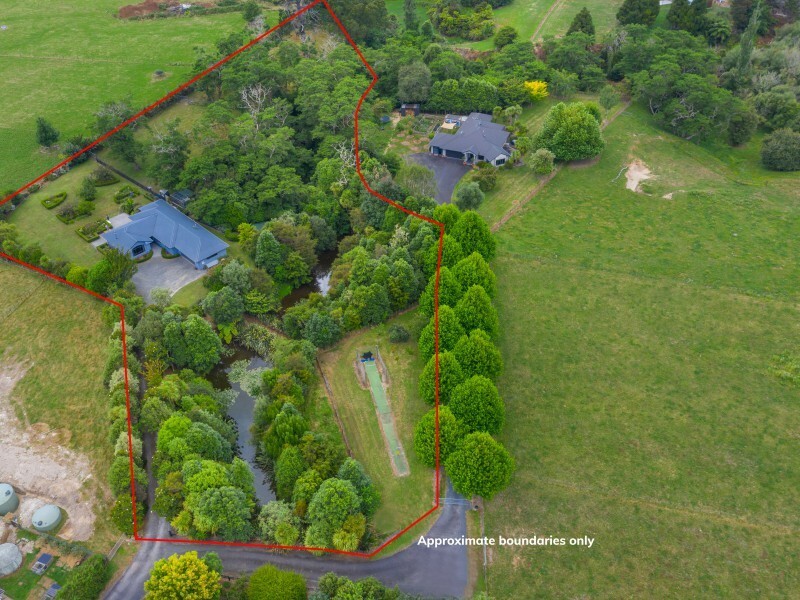 In a large serene and screened 1.3ha environment at the end of Fantail Drive, a private lane off Faiping Road, this handily-positioned lifestyle property boasts all-round convenience and large lot residential zoning. It is equidistant to Te Awamutu and Cambridge, a five minute drive to Waikato Hospital, close to the expressway and airport. 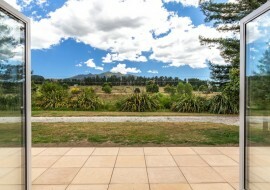 Amid the peaceful setting is a large family home delivering relaxed living. Refreshed interiors are cleverly designed to accommodate children/family members. Each has their own lounge and sleep quarters. The open plan family zone is a communal space that spills onto a sun-drenched courtyard. Large picture windows frame established garden views and invite the light and solar heat indoors. There is good air flow and a logburner in the lounge to counter the winter chill. The well-appointed kitchen features a wall oven, dishwash drawers, a breakfast bar and restful garden outlook. The efficient layout of this Jennian home sees the generous master suite enjoying a picturesque outlook onto the garden & features. The master bedroom comfortably fits a king-size bed, a walk-in robe and ensuite. The children's lounge can be shut off, which is a bonus for parents and a big plus for those wanting to operate private accommodation. The TV remains. Wardrobe solutions feature in all four double bedrooms. The roomy 2.5 car garage houses the laundry. Ample car parking is available. The property has an eco-friendly vibe, enhanced by ponds and a gully that attracts bird life and native bats. Goldfish inhabit the two large ponds, which is surrounded by native plantings that are home to tui and other native species. Beyond the ponds is an orchard, as well as a cricket practice net. Planting is designed to provide year-round splendour. Paddocks are deer fenced and infrastructure includes yards, a shed and potential stable. Water is rain-sourced.This lifestyle property is an idyllic spot just minutes from town and just outside the Peacocks development cell. A place to call home.